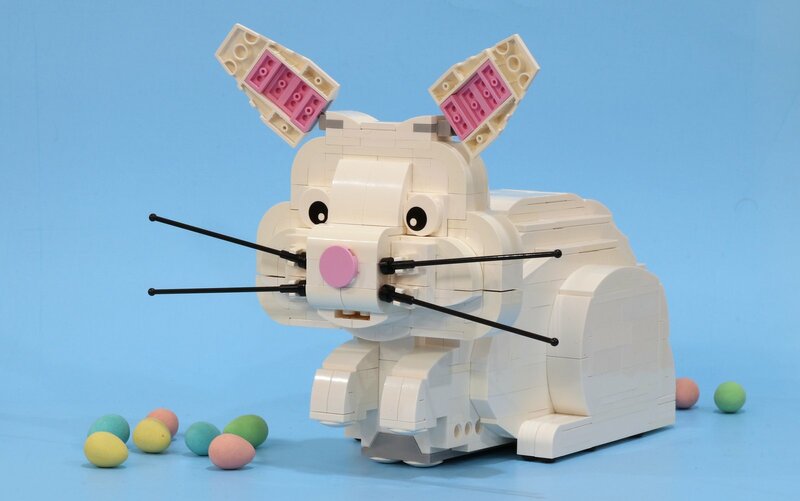 Just in time for Easter, our friend Jason Allemann and his partner Krystal (JK Brickworks) have brought us another marvelous, moving creation! Festive candy seems to be a common theme in their builds lately. This one is an adorable bunny with a unique talent of pooping out chocolate eggs! They have used the new Boost robotics system again, and the design is incredibly simple. It’s so simple that young people could probably build something similar. That’s not to say it isn’t uniquely cute and clever all wrapped into one perfect, pooping package!